his story, her story: “It is the spectator, not life, that art really mirrors:” Does The White Queen have any responsibility towards its viewers? “It is the spectator, not life, that art really mirrors:” Does The White Queen have any responsibility towards its viewers? 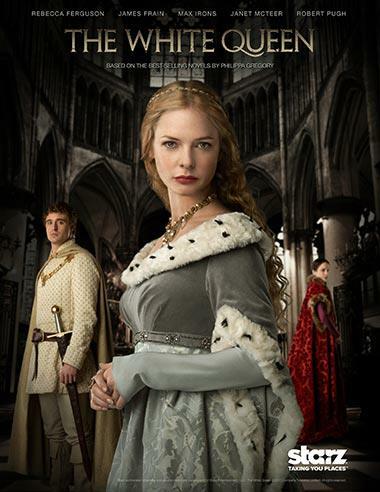 With over 5 million viewers in the UK tuning in for the first episode of The White Queen last Sunday, fresh debates have been sparked over the nature of historical fiction. While some viewers have been happy to accept the medieval simulacra that the Sunday night Downton slot represents, others have been gleefully vocal in dismembering the series for its anachronistic armour or the wrong shaped pennants. Now there’s nothing wrong with that. The novels and the BBC adaptation can be enjoyed on a number of levels; there’s room for the swooning romantics and the pennant pedants but more worrying, is the suggestion I have seen voiced this week, that novelists have some sort of moral responsibility. Historical fiction is a hybrid genre, almost oxymoronic in combining the roles of the accuracy-driven historian with the artistic freedom of a novelist. Often, these come into conflict and sometimes lead a work to be misunderstood. Such greats as Jean Plaidy, Anya Seton, Sharon Penman and Josephine Tey have long been enthusing readers with their depictions of real people from the past, which often spark a lifelong interest that quickly translates to the non-fiction shelves. But the most significant thing to remember is that a novel, set in any time period, remains a novel. As such, it is subject to different rules and necessities in order to satisfy its own definition. Novelists are a little bit magic; they can bend rules, adapt events, distort real people and even change the course of history, all in the name of art. The only responsibility a novelist has is to their creation. Herein lies the problem with The White Queen adaptation. Those claiming that the series, and by association, the screenwriter, Emma Frost, novelist Philippa Gregory and all other historical novelists, have some sort of responsibility to tell history accurately, are operating with a different definition of what novelists do. This week, it seems clear that there are many definitions, depending on whether one is coming from the standpoint of a student of literature or history or both. Many critiques are offered of novels that fall short on the historical facts; if you know your stuff it is easy to pick out an incorrect date or the wrong family relationship, or that so-and-so was not actually at such-and-such a place because he was, in fact, elsewhere. Far less attention is paid to the literary skills displayed in such works. Ultimately, an historical novelist's first responsibility is to literature, then to history. Otherwise they should be writing non-fiction. So what does the "novelist" part of the historical novelist do? Well, they do not simply tell stories. Nor do they narrate historical events with a few descriptive bits or imagined dialogue. They are jugglers of pitch and tone, balancers of opposing moods and sculptors of satisfying, complimentary narrative threads. They match protagonist against antagonist, lull us into a false sense of security before a sudden moment of fortune reversal (peripeteia in literary parlance) plunges us into pathos or catharsis. They exploit a character’s hubris, or hamartia (error of judgement), for dramatic effect. Factual concessions do sometimes need to be made in order to satisfy dramatic outcomes, so they cut and paste what is included and what left out. Novelists are subject to the same freedoms as artists rather than being bound to the accuracy of historical study. They use mimesis to imitate and perfect life, rather than depict it in a state of realism. Real people from the past are not “real” to many novelists. (I do not claim to speak for all novelists and I am sure some will disagree.) Put in the simplest of terms, historical figures are the novelist's raw material, to be shaped at will into something beautiful, accurate and true to life. This does not imply a lack of respect nor an intense passion for historical accuracy. Many writers of historical fiction do meticulous research and combine excellent story-telling with spot-on facts. Yet they would be the first to concede that where the history leaves gaps for interpretation, the trade-off with fiction begins. History rarely records the conversations, private emotions and sometimes even the key events of our most beloved heroes and heroines, so the novelist steps in to supply them, in sympathy with their aims. Some may go further and write imagined scenes, or create new offspring, friends or servants alongside real people. Others might even use them as mouthpieces for scenes of witchcraft, as in The White Queen or attribute to them unproven crimes or adventures, in such potentially fertile dearths as Shakespeare’s missing years. The 2011 film Anonymous used the authorship question to explore similar unproven theories about the life of the Earl of Oxford, which was art doing what it does best. It has a licence that history does not. Whilst it might be in danger of irritating those who are wedded to their facts, it certainly does not betray any sort of moral responsibility, simply because it has none. 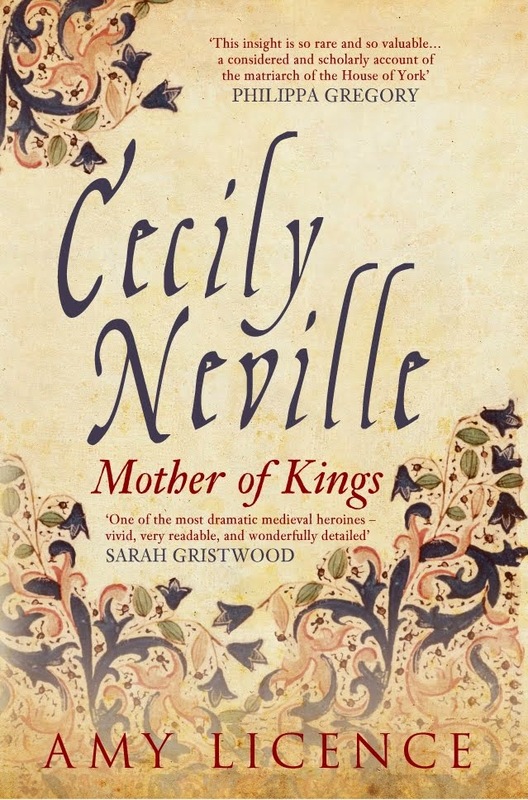 Historical novelists come in all shapes and forms, from those who loosely weave in and out of the facts to those who animate the past with every period detail correct. The opposing ends of this spectrum cater for very a different readership and are usually marketed as such. The responsibility also lies with the reader to be aware of their own reading requirements as well as remembering the nature and variation of the genre. The only sticking point arises when marketing can mislead and present some novels as vehicles of historical truth. What appears to have annoyed historians most this week is the rash of media headlines along the lines of “Philippa Gregory tells the truth behind The White Queen.” Gregory herself has acknowledged the nature of her work: “to combine the truth of an historical record with the truth that can be told in a novel is, I think, a great challenge and a pleasure.” She has been criticised by fellow novelist Robin Maxwell for rejecting what she knows to have been the “truth” in favour of what is “most dramatic” for her readers. This criticism would have some validity if she were writing non-fiction; it has none if she is writing a novel. From this, two types of conflicting authors emerge: those who are historians first and novelists second, against those who are novelists first and historians second. Maxwell is the former, Gregory is the latter. Of course there are truths and “truths”. 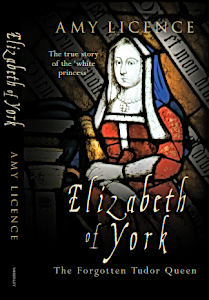 There can be little argument in the case of unshakeable facts, such as the battle of Bosworth Field being fought in August 1485 or Anne Boleyn’s delivery of a daughter in 1533. 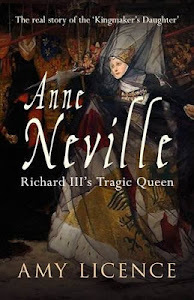 The novelist can exploit the grey areas of emotion around these events, picture Richard charging headlong into Henry VII’s forces or imagine Anne’s feelings during pregnancy and birth. But novelists are also uniquely exploited to deal in emotional “truths”, to present what feels to them to be the most likely explanation of events or to be “true” to character. To facilitate this, they might need to tweak the facts to prioritise one version over another, creating a collision of “truth” and subjectivity which gives rise to criticism. Yet most historical events are open to debate and this variety of approaches makes for a rich and fascinating dialogue that can move all sides closer to an understanding of what actually happened, if indeed one single “reality” can be extrapolated from the experiences of all involved. Fiction has a part to play in this too, so long as its facility with artistic interpretation is recognised. 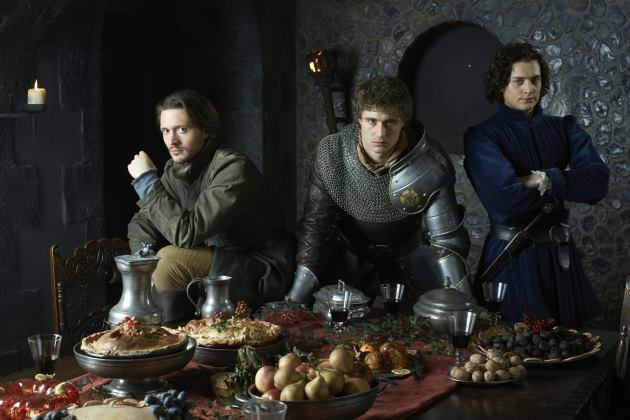 The only responsibility The White Queen BBC series has is to entertain. Its bed linen might be whiter than white but that is a necessary element in the set-design of a dream. The vast majority of Gregory’s fans want to be swept along with the romance, not put off by Edward and Elizabeth romping in grey, torn sheets. There’s nothing wrong with that, as we recognise what we’re looking at. So, criticise The White Queen and Gregory’s novels for being badly written or for falsely claiming historical accuracy, if you will, but do recognise them for what they are, which is “art.” Where we place them on the artistic spectrum is another matter entirely. So well written--thoughtful, clear headed and honest. I'm going to treat myself to one of your books when I get my Visa Gift Card. While not a reader of historical fiction, I do agree that taking liberties is acceptable and that we should treat this kind of writing as art. I frequent Shaw and Stratford Festivals (where Macbeth was once found in modern day Africa), love Merchant/Ivory adaptations and am just working my through Edward VII from 1973. Should I analyze the movies and plays for period accuracy or just try to enjoy what is put before me? There are many sources to turn to for, theoretically, accurate histories but as you point out there are things that we will never know and if an author wishes to stretch him/herself then so be it. Buyer beware. Thanks Lisa, I totally agree with the buyer beware idea- it is up to the reader/audience to not passively absorb what they see but appraise it critically. I love your examples- it is so exciting what writers can do to transgress boundaries and juxtapose different time frames. We can enjoy them on a number of levels- being critical over the historical detail may mean another valuable experience is lost. Thank you very much for this eloquent & thoughtful post, Amy. I loved your use of Oscar Wilde's quote & especially appreciated your point that, as long as an author does not misrepresent her or himself to readers, taking some creative license is ok. This seems like such a simple concept, yet I've watched some very bitter arguments evolve over what simply amounts to individual taste--and a sadly human tendency to impose one's personal beliefs on others. As both an avid reader & author--both my hats are off to you! Thank you for that lovely comment Rachael, I'm glad you enjoyed the piece. I suspect the arguments will continue to rage. Hi, Amy! How are you? I am a Brazilian journalist and I would like to talk to you. Could you send me your e-mail address, please? The sole purpose of tv is to entertain and I don't consciously believe anything I watch on it. But I am enjoying The White Queen which I'm watching on US t.v. and am reading Sunne in Splendour, a book about the War of the Roses. Truth all seems to spring from point of view and that is a moving target. Outside of The White Queen's Edward's laments that he cannot sleep or eat until he has Elizabeth, why would he marry a Lancastarian? That's what interests me. As I have tried to trace these lineages, I find the right people marrying the wrong people, wikipedia opinion, and a mixups of Elizabeths. 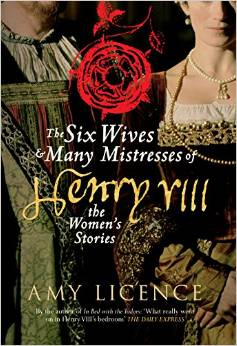 What I love and appreciate about historical novels is the way it launches me into a pursuit of the truth. After listening to the Audible version of The White Queen and watching Episode One, I started to consider what was being presented in the book. It filled my mind with questions and I have now spent three days tracking down non-fiction sources to read in an effort to learn as much of the actual history as possible. 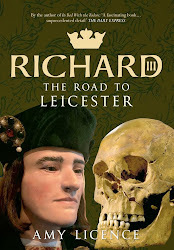 This led me to the article you wrote in the Natl Statesman about Richard III's possible pilgrimage to Canterbury and from there to Amazon and your book about Anne Neville. I have also discovered you! And all because - while fun and fluffy, Phillipa Gregory's book was too ... nice. I knew there had to be more. But, I am glad for the shove Ms. Gregory gave me. If we found out that it was indeed the White Queen who murdered the princes, would that change anything in the monarch today? 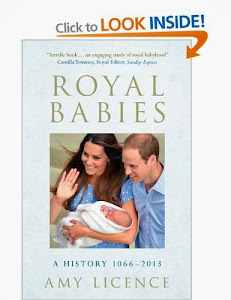 What exactly makes everyone want to know the answer to what happened to the princes? 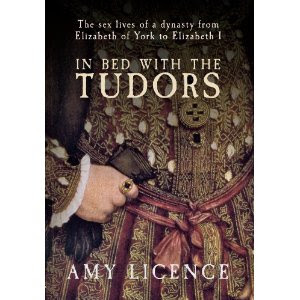 Would evidence on the princes' deaths perhaps make Queen Elizabeth's claim to the throne illegitimate? Sorry, I'm not working on my own computer at the moment and it won't let me log in to my own blog to change spelling mistakes etc!